WATER BORNE FINISH FOR HARDWOOD FLOORS. FOR LIGHT COMMERCIAL AND HIGH TRAFFIC DOMESTIC AREAS. COVERAGE: 500 - 600 SQ FT/GAL. SEE LABEL ON PRODUCT FOR ADDITIONAL CAUTIONS. DO NOT THIN. DO NOT ADD WATER. APPLY ONE COAT OF EASY PRIME ACCORDING TO DIRECTIONS. ALLOW TO DRY 60 - 90 MINUTES. APPLY EASY FINISH AND ALLOW TO DRY 2- 3 HOURS. APPLY ANOTHER COAT OF EASY FINISH. PAD OR BLUE MAGIC PAD. ALWAYS PREPARE TEST AREAS TO DETERMINE COMPATIBILITY, APPEARANCE AND DESIRED RESULTS. DO NOT USE EASYFINISH ON FACTORY FINISHED FLOORS. DO NOT APPLY AT TEMP'S BELOW 55 DEGREES. MAKE SURE PRODUCT IS AT ROOM TEMPERATURE. 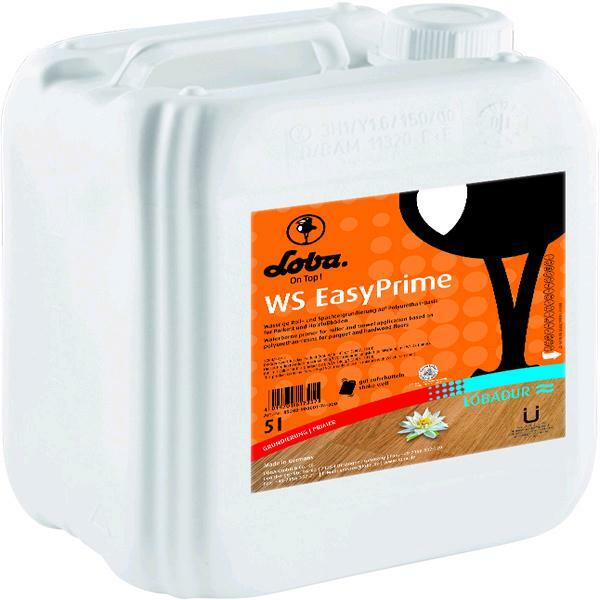 * Please call us with any questions about our loba easy satin in Duluth MN and Superior WI, serving Proctor MN, Hermantown MN, Northern Minnesota and Northern Wisconsin.